The affirmation of DPD’s existence is not only from the formal legal side, but also from the acceptance of regional aspiration that to be conveyed and fought in the central level. This is because during this time there are many problems in the region which has not been accommodated yet by the Central. DPD and DPR could formulate a mutual agreement. But the agreement must reflect the compromise between all the political power in the MPR. DPD need to have more space to take part. Thus, it is expected to be more active in the struggle for the interests and region's aspirations. 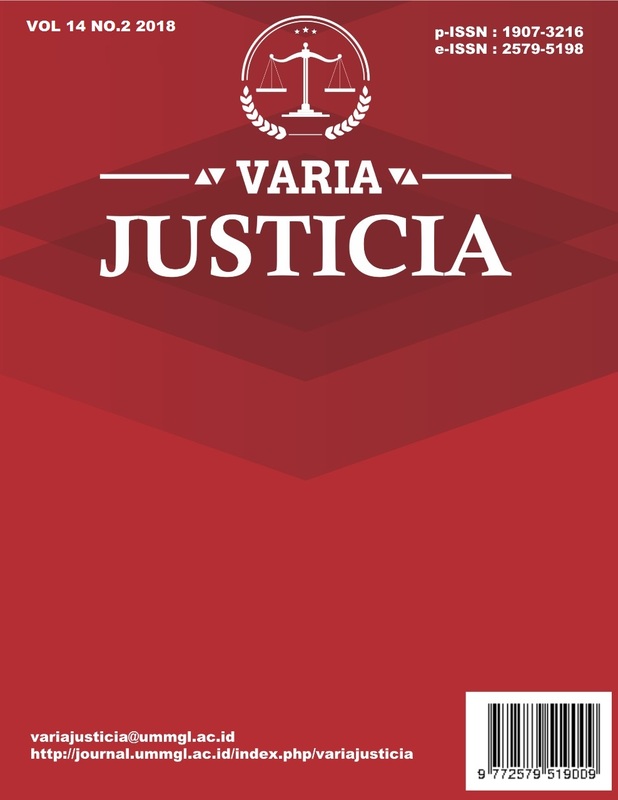 Varia Justicia is licensed under a Creative Commons Attribution 4.0 International License.